A dear friend of mine’s husband was recently diagnosed with brain cancer. The terminal kind. The life-changing your-time-together-now-has-a-deadline kind. I found myself desperately racking my brain for how to best help her. Clean her house? Watch her kids? Pray? Yes, yes and yes, but would be the MOST meaningful gift to offer? As fellow humans, we all at some point come upon hard times. Eventually, we all come upon REALLY hard times. Be it death of a loved one, financial crisis, health problems, feeling unloved or unwanted, or making major mistakes, we all come to those points where we just NEED something. What do we need? What is the best remedy in our times of need? How can we be a good friend to those we love when they go through these hard situations? Of course there are many answers and every situation is different, but I think one of the best gifts both to give and to be willing to receive is the gift of true acceptance- of hearing someone, empathizing and loving them. It is the gift Christ gives to us. It is one of the most loving gifts we have at our disposal to give to others. Often when we are met with our own or other’s problems, our knee-jerk reaction is to go to solutions FIRST. We’re natural problem solvers and sometimes solutions can be the answer, but often, it means more when acceptance and empathy come before solutions (or in lieu solutions all together). Perhaps nowhere is this tendency to focus on solutions, when we should be focusing on empathy, more apparent than in parenting. In two of the leading parenting books of recent decades: How to Talk so Kids Will Listen and Listen so Kids Will Talk and Parenting with Love and Logic – both state that loving empathy (instead of solutions) is the key to unlocking successful parenting. Typically when our kids get hurt or don’t make the team or get made fun of, our knee-jerk reaction as parents is to FIX IT. To take away their pain. Do you want to go to the ice cream shop? How about we pick out a new toy? I’ll call the coach. We want to offer pain-relievers when what our kids need is our love and empathy. These pain “solutions” we try to offer also have the potentially dangerous side effect of not allowing our kids to learn to solve their own problems and crippling their ability to deal with their own pain productively instead of running from it or numbing it. 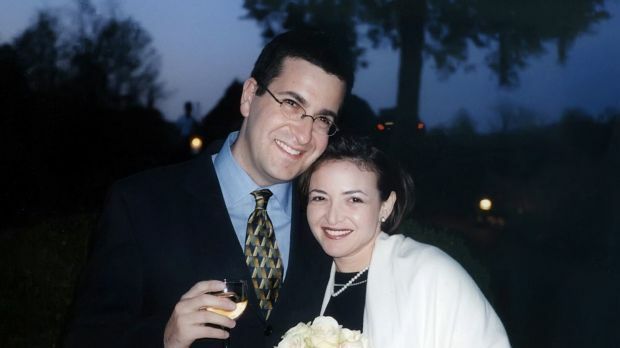 In the book Option B, Sheryl Sandberg relates how alone and isolated she felt after the tragic death of her husband. It was those who accepted her in any state she was in and let that be fine that meant the most. Those who didn’t rush her recovery or feel uncomfortable around her pain. The presence and acceptance of a friend meant so much more than silver linings, certainties or solutions. The LDS (Mormon) church is such an all-encompassing community, that leaving it can often be a difficult, lonely and life-altering experience particularly for those whose family and friends are all LDS. In doing research for my upcoming book, I asked several people who have left the church to tell about one person who really helped them through this difficult transition. In the FASCINATING book Voices of Hope for Mental Illness: Not Against, With, author Jackie Goldstein explains how in the U.S. and most of the Western world, when we encounter those with mental illness, we are obsessed with SOLUTIONS: more medicine, a different medicine, one kind of therapy, a different kind of therapy, etc. But we don’t often talk about how focusing on all these solutions, ends up making those who struggle with mental illness feel very, well, PROBLEMED. In the book, she talks about a community in Geel, Belgium that has a centuries-long tradition of caring for their mentally ill without any stigmas or typical “solutions” at all. Instead of trying to cure the mentally ill, they accept them. Just as they are. The community has a tradition of having the mentally ill as boarders in their homes. These are not their family members, just community members. They don’t try to change them or offer therapies or solutions, they just accept them as their friends and roommates. And the results? The results are pretty amazing. Paradoxically by not offering solutions, these people’s problems do get better. The mental illnesses don’t go away, but the people are able to live peaceful, productive lives. Read the book, or at least listen to this podcast (totally worth your time!). Making people feel loved, appreciated, noticed, heard, understood and accepted are among the greatest gifts we have to offer one another. This is true for good times and bad. Those are the friends who mean the most. Speaking of Brene Brown, I love her personal story of faith and how she came to find the perfect friend after years of researching what it took to be a good friend. In an interview about her religious life, she says she was raised very religious in Texas as a Baptist, went to a Catholic high school, but by college she saw the many faults that can come with organized religion and stopped going. She also thought the role of church and of Christ was to solve problems, to take away people’s pain and suffering. She thought that is what they were there to do, and she saw they were doing a pretty crappy job of it. Fast forward 20 years, Brene was immersed in researching what it means to be a whole-hearted person, what empathy means, what it means to be connected to each other and what it means to be a good friend. She had a bit of a mid-life crisis when she realized her own life would have to change pretty dramatically in order to align with the results she was gathering from her research. This shook her deeply. So she went back to church. I thought faith would say, I’ll take away the pain and discomfort. But what it ended up saying is that I’ll sit with you in it. I LOVE this story. I love thinking of Christ as our perfect friend. Not there to take away all our pain and suffering, because truthfully some pain and suffering is fundamental for our growth. I love that He loves us enough not to take it all away, but to always, ALWAYS sit with us in it. And what better person could be designed for empathy than the only one who truly has experienced all our feelings, pains, emotions, problems, loneliness, loss, grief and sorrow? The only being in the entire universe who is capable of 100% true empathy of every situation we could come across, is the one God has sent us as our perfectly reliable companion. Always there for us, waiting for us to realize the healing balm right there for us within his presence. Sometimes, many times in fact, our expectations of His role get in the way of us experiencing His empathy and healing. We want that epidural- we want that solution to our problems, we want the pain and suffering to be taken when WE want them to be taken away. But love isn’t the absence of pain. He loves us enough to allow us our pain, to allow us to solve our own problems, but He never makes us do it alone without that love and empathy we all truly needs when we are in struggle. His love also means he allows us to come to Him as we are. He accepts us as His, even in our faults and mistakes. He wants us to be the best we can and helps us to change, but His love is not dependent on our actions. He simply waits for us to come and accept His love and help. In thinking of the best, most powerful thing we can offer our spouses, I think it is this- being a good friend- offering true acceptance, nonjudgmental listening, and loving empathy. It is human nature to put our defenses up when we feel attacked or misunderstood. Bad behaviors result from feelings of shame. But empathy is the antidote to shame. When we meet our spouses with empathy, we offer them POWER to overcome their own shame. We hold a real power in our spouse’s lives. I’m not perfect. I’m not a perfect friend or spouse, but I hope in my loved one’s times of need, I will be able to provide them with that sweet healing nectar of acceptance, empathy and love. I am infinitely grateful I have found those basic human needs met in Christ- a perfect friend, always there to remind me of my worth and value. There to perfectly empathize with every thought, mistake, feeling of shame or loneliness. What is a Clear Sense of Self and Why We Should Care?